用cubieboard做示波器 - Cubieboard - 极客工坊 - Powered by Discuz! Warsaw ELHEP (Electronics for High Eenergy Physics Experiments) Group is currently working on MMS (Mobile Measurement System) Project. This project features what I would call a “headless connected oscilloscope”, which can be detected on the network via SSDP, send the data via Websocket, and display it on iOS, Android, or Windows Phone devices. This oscilloscope does not feature any screen, and receives/transmits data via Ethernet, Wi-Fi, or Bluetooth. CTI-VMAX – ARM9 with Wi-Fi, Bluetooth, and Ethernet connectivity. ARM SCOPE v1.0.1 with 8 channel ADC. ARM SCOPE v1.0.2 with 4 high speed ADC (100MSPS). 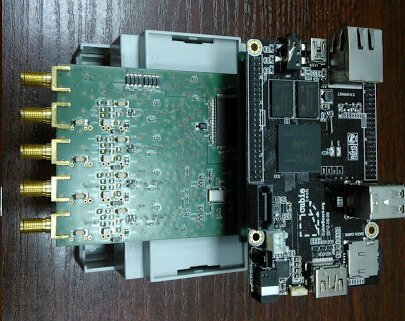 The ELHEP researchers have been looking at replacing CTI-VMAX with low cost boards, and after considering several options, they chose to design two versions of their oscilloscope: one based on Cubieboard, and the other on the Beaglebone. 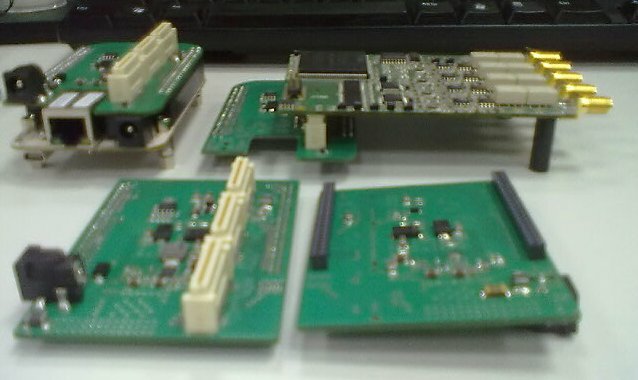 So they designed expansions boards for the Cubieboard and Beaglebone in order to connect the ARM SCOPEs. This project involved hardware development, software development (Linux firmware in Beaglebone/Cubieboard, MMS protocol, and app development), and once everything is setup you can see the waveform on a mobile device as shown below. 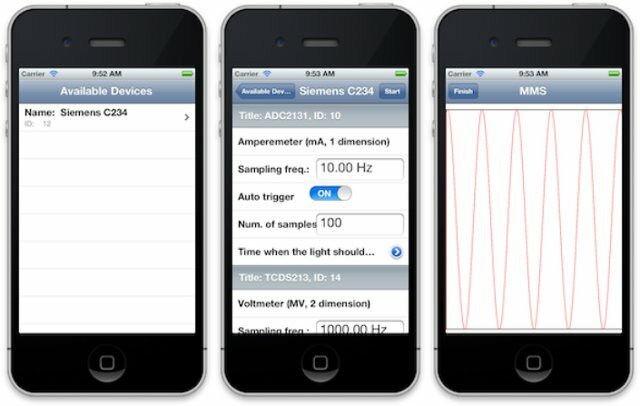 Their mobile app first discovers the measurement equipment on the network (left), remotely configures the device (middle), and displays the waveform (right). The researchers/students are still working on perfecting the project. You can find out more on MMS Project page (in Polish). GMT+8, 2019-4-23 20:42 , Processed in 0.042380 second(s), 24 queries .